Family Court is all about love. No, I don't mean "falling in love." That happens elsewhere. I mean falling out of love. Family Court is the place to go when love goes wrong. Terribly wrong. Our society is obsessed with attraction. In the movies, boy meets girl; they overcome some difficulties; they fall in love; they kiss; end of movie. Turns out, that's not the end of the story. The kiss is just the beginning of a whole lot of ambiguity, complexity and even animosity. Just because you have fallen in love doesn't mean you can pull off a relationship. Family Court is where we learn all about that. Family Court is where we get divorcedor try to. Love doesn't really want us to, no matter how much we may despise our partner. Love is going to make it very complicated and may even require us to visit another courtroom for a restraining order. What is love? Well, I'm going to tell you. It is a terrible affliction. It is parasite that invades the brain. It is something you don't have much control over. It is something with a life of its own. Love is when a bunch of neurons and hormones conspire to turn you into something different than you were. Sometimes it's a monster. The process is called "attachment," and it isn't always pretty. Attachment is the physiological bond between closely affiliated humans. The word describes the unspoken attraction between child and parent, between romantic partners and between close relatives. To a lesser extent, it is also the affiliation we feel for our dearest friends, coworkers and the recurring characters we like on TV. Attachment may sound like a good thing, and it is, but it also has its dark side. Perhaps the most painful of human experiences is when a strong attachment is abruptly broken. Attachment, in its darker domain, also helps explain the greatest mystery of Family Court, namely: Why is divorce such a nasty business? Attachment is not an intellectual process. It happens automatically, deep within the brain. And I mean deep, in the most basic emotional circuitry that we share with all the animals who are raised by their parents. A baby begins to attach to his parents almost from the moment he is born. He is oriented toward them and tied to them, as if by an invisible cord. A toddler is drawn to explore the world, but even as he does, he is always looking back: "Where's Mom?" Take this child from his parents for very long and he's going to get upset. A secure parental bond is the most basic equipment that a child needs to adapt to the world. If you mess with that bond or that bond is messed up, then you're going to have a messed up kid. Attachment happens again later in life when we choose a romantic partner. The flush feelings and dreamy unreality of "falling in love" is really just the brain rearranging itself to accept this new image of "Mom." That's where the problems begin, because maybe the rest of the brain and the complex social system needed to support a relationship aren't really up to the task. The fact that I am attached to you, deep in my brainstem, doesn't mean I can get along with you; it only means that I am drawn to be with you. People can become attached to each other who have absolutely nothing in common, and when this happens, you know there's trouble a-brew'n. John Hinkley, who shot President Reagan, became obsessively attached to the actress Jodie Foster without any significant contact with her. Teenage girls can fill their walls with images of the latest rock'n'roll heartthrob because they are fabulously in love. Reciprocal love with a real partner isn't necessarily much different. To you, the hapless victim, everything about your partner becomes exquisite: the look, the sound, the smell, the taste. In this little fantasy world, shooting the president to get attention is not that bizarre. It may seem perfectly reasonable, because attachment is often more powerful than any logical process. When marriages fall apart, often the attachment doesn't. The couple may still be tied together by an invisible cord they can neither acknowledge nor rationally deal with. The rest of the relationship, including all forms of trust, may have utterly collapsed, but the bond can still be as strong as everon one side or both. When all rational avenues of approach are blocked, attachment may be expressed not with tenderness but aggression. Engaging your former flame in battle seems to bring them closer to you. 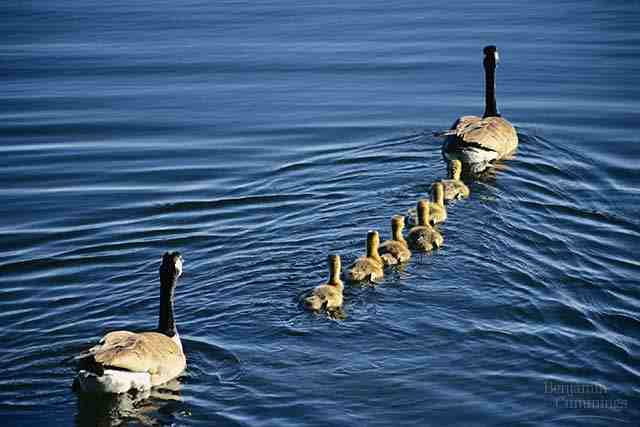 You are still following them around like a duck after its mother, but now you are angry that they are not responding as you want them to. Often, Family Court is charged with breaking this bond. Couples engaged in a bitter custody or property dispute may seem to want it to go on forever, but the court is going to make a decision and move things along. If one party won't leave the other alone, we have ways of dealing with that, too. A complex system has been built up over the years for rending the attachment, and it isn't usually pleasant. It is amputation, pure and simple, and it is going to hurt.